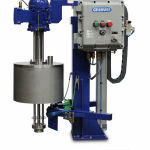 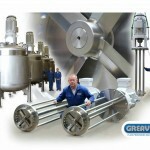 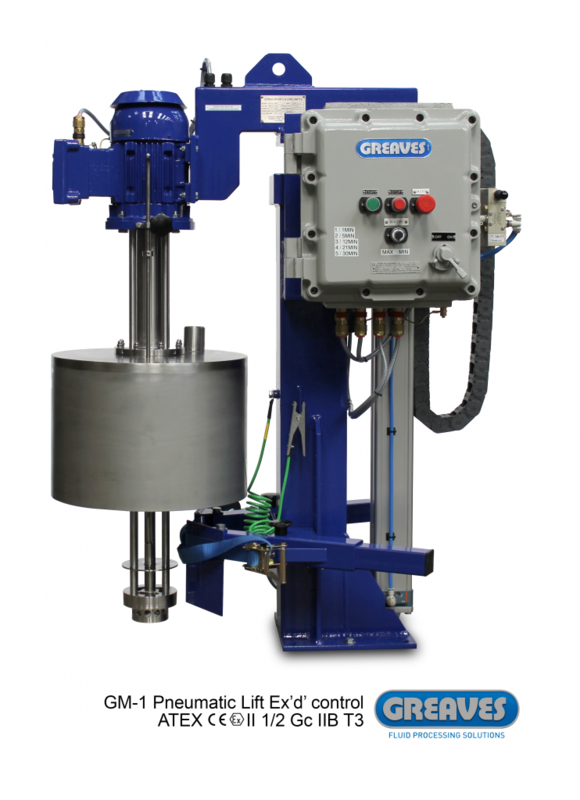 Why have Greaves been experts in high shear mixers since 1947? 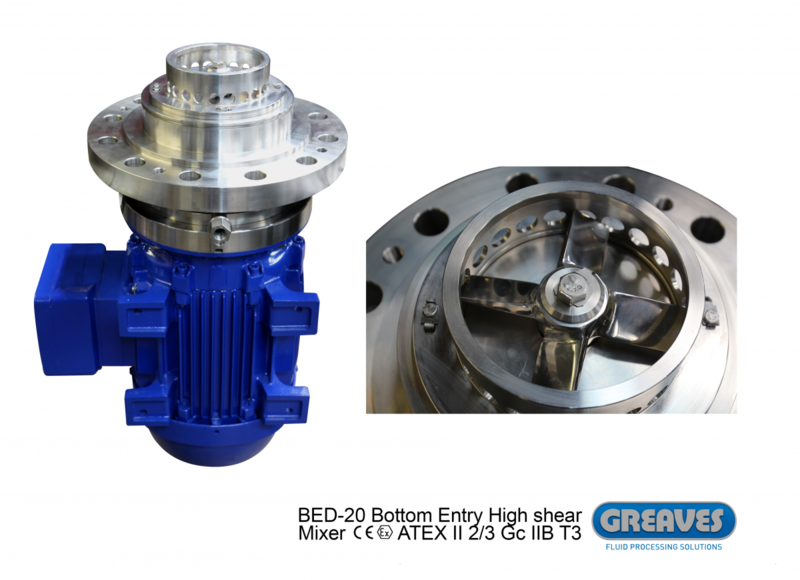 Pioneering designs and close engineering tolerances are key in ensuring the market leading performance of Greaves High Shear Mixers. 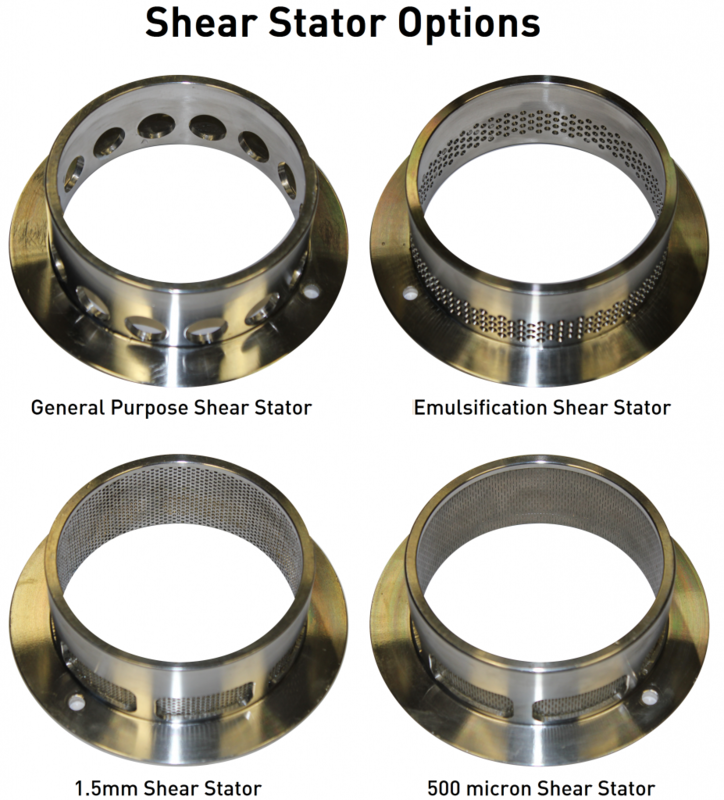 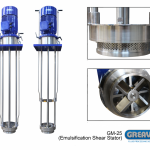 The close tolerances between the impeller and the shear stator ensure particles sizes are quickly and effectively reduced with every pass through the workhead. 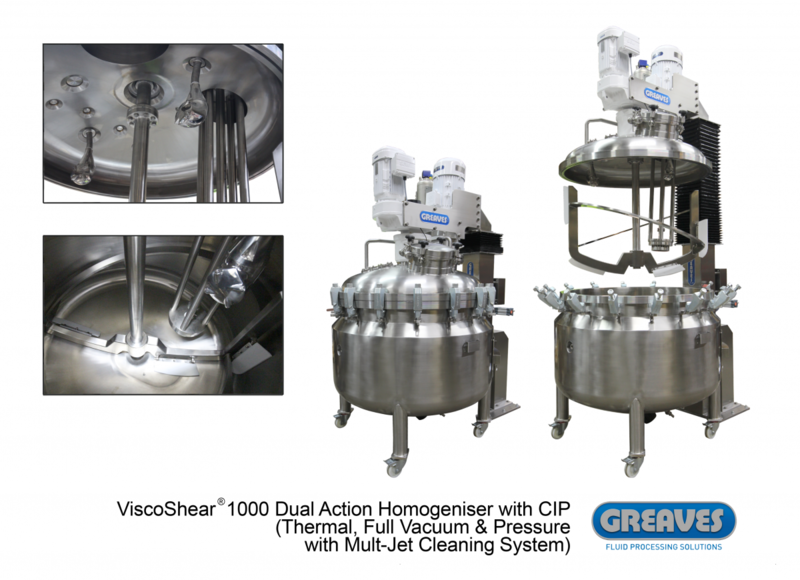 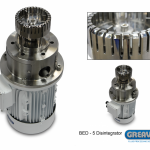 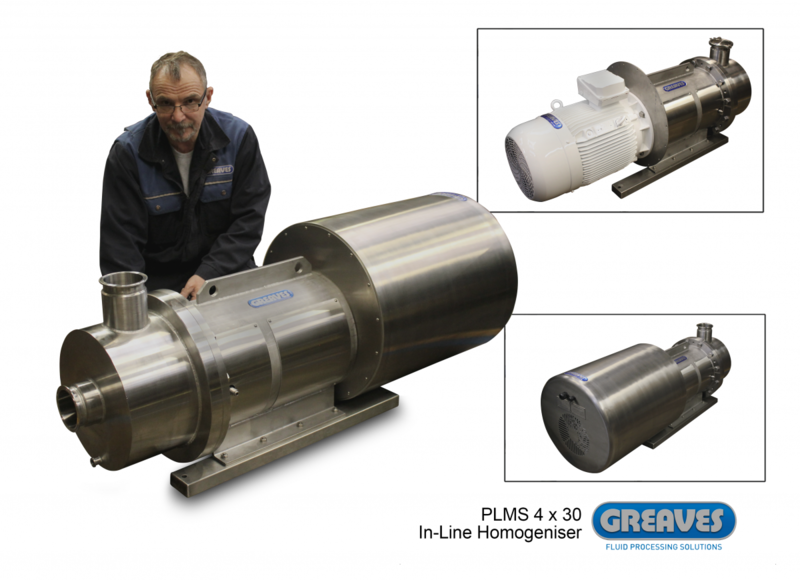 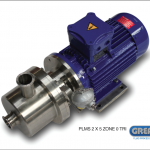 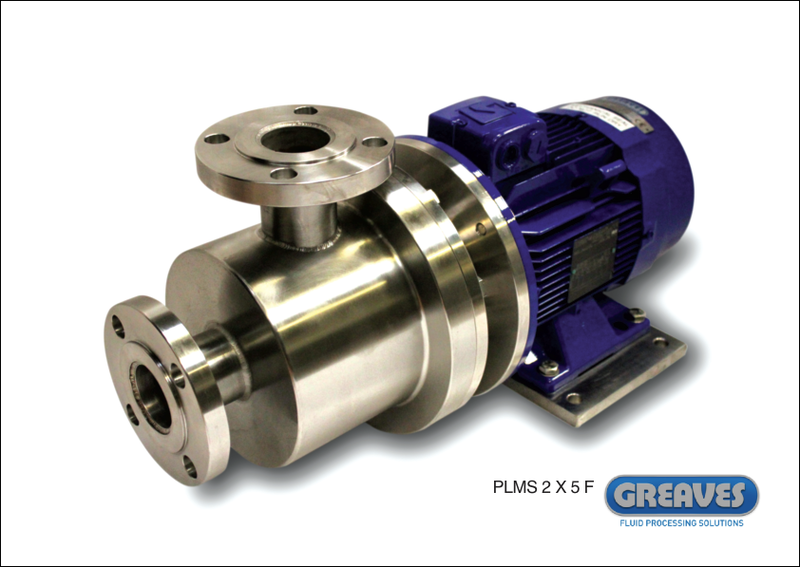 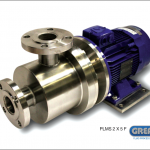 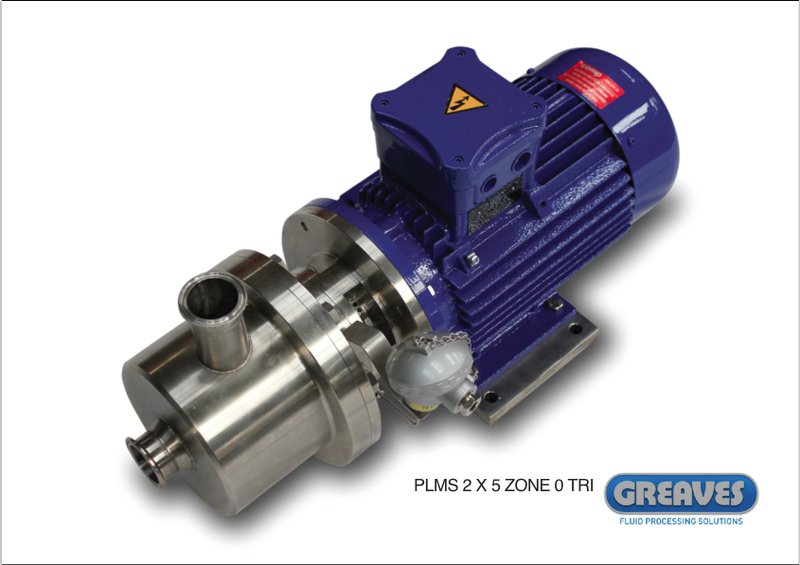 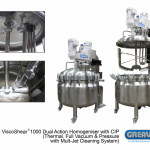 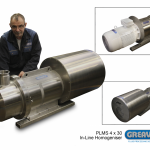 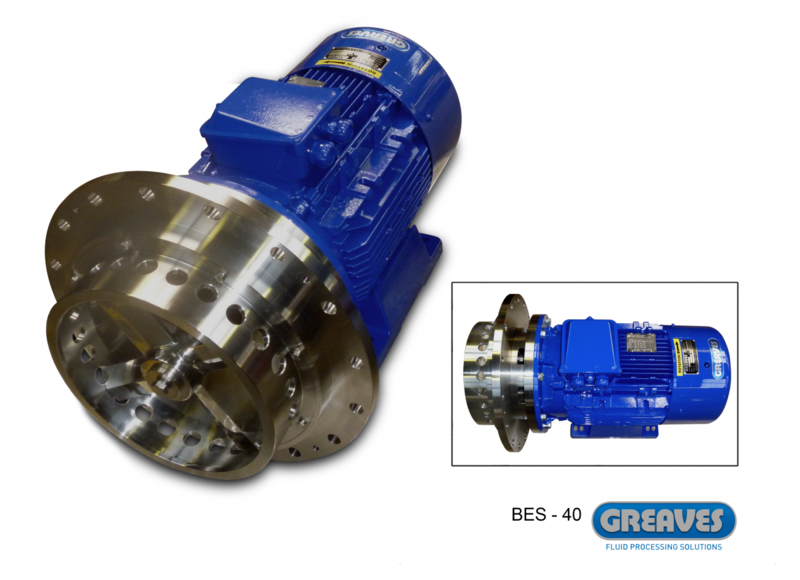 This means homogenisation is faster and smoother with a Greaves mixer. 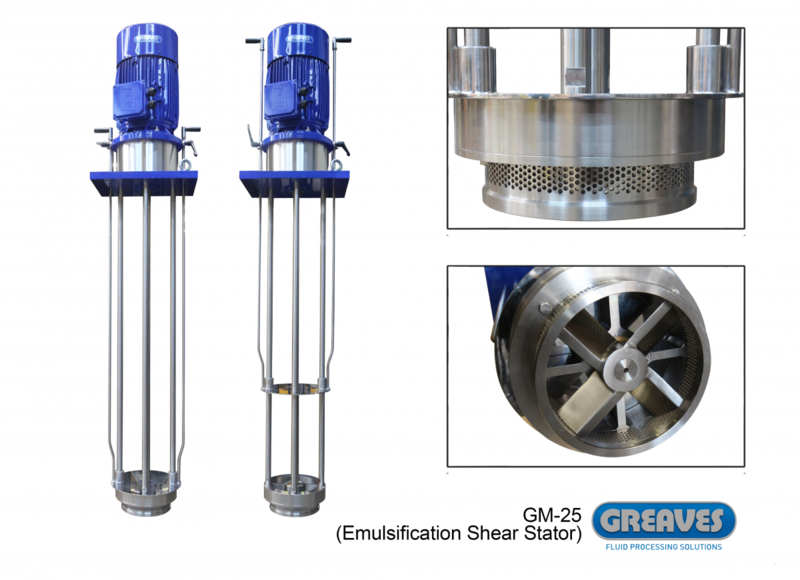 Why do other rotor stator type mixers struggle to draw down powders from the surface? 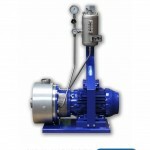 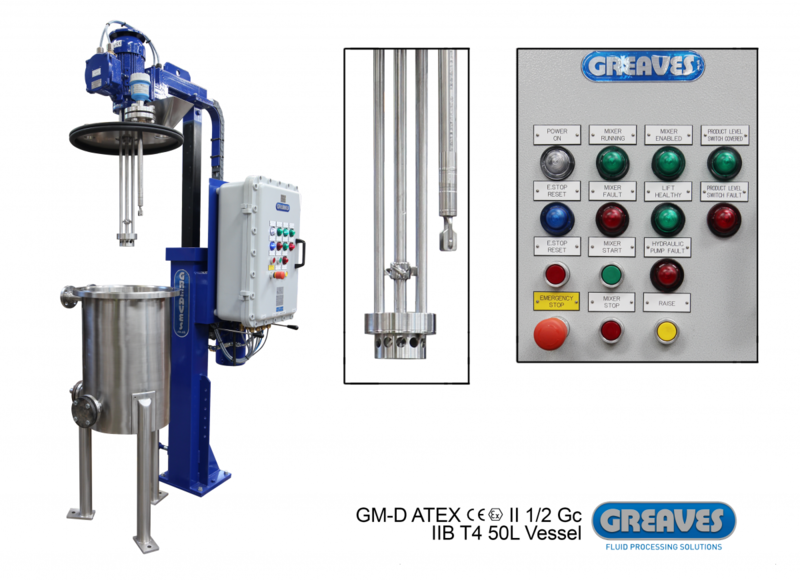 It is usually the suction performance of the work heads, not lack of motor power which prevents other mixers matching the performance of Greaves High Shear Mixers. 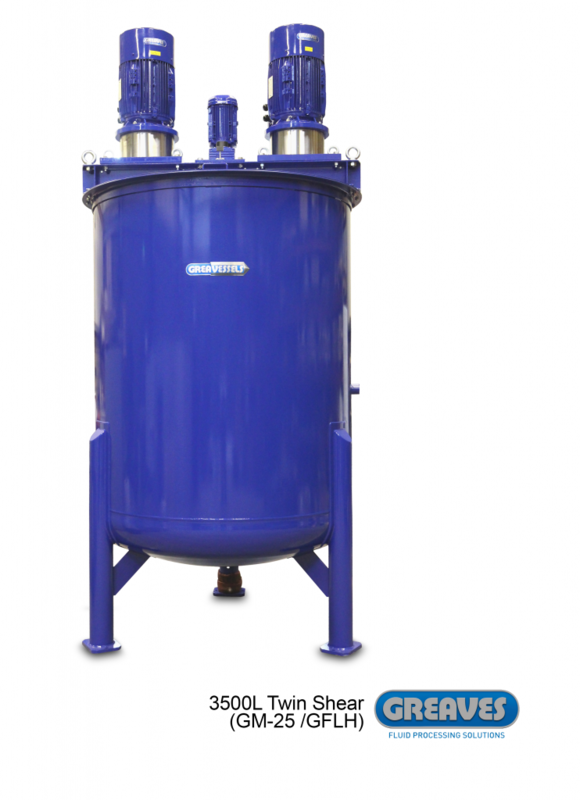 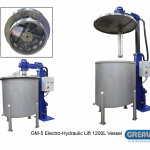 This can lead to lumps or agglomerates gathering around mixer pillar and the vessel surface. 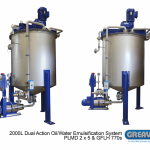 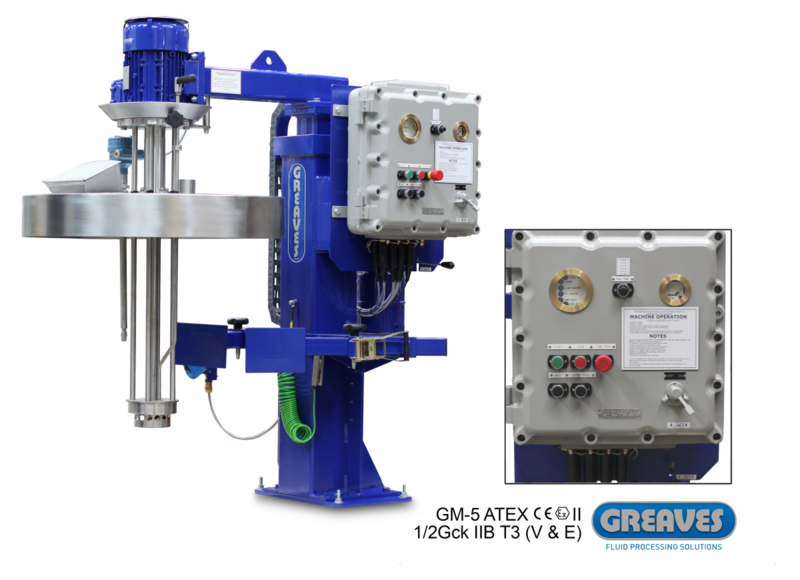 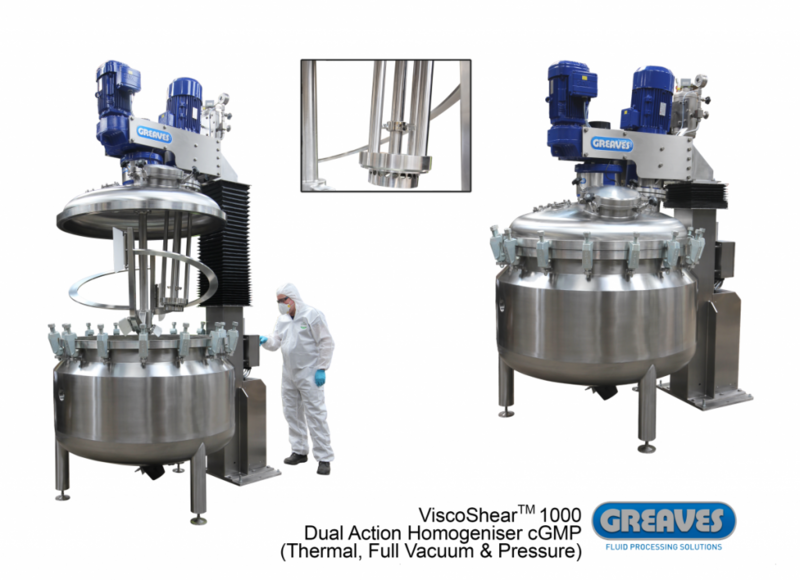 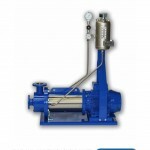 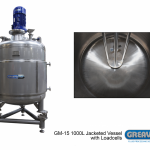 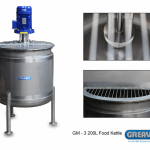 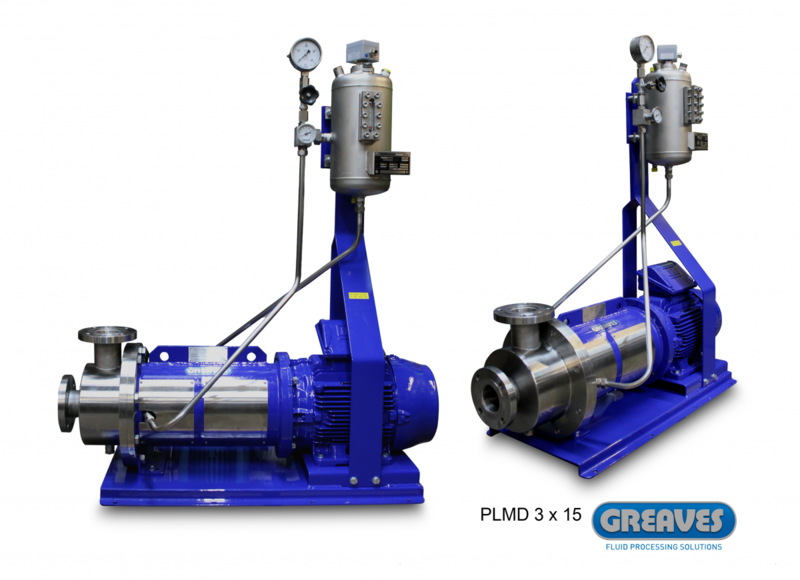 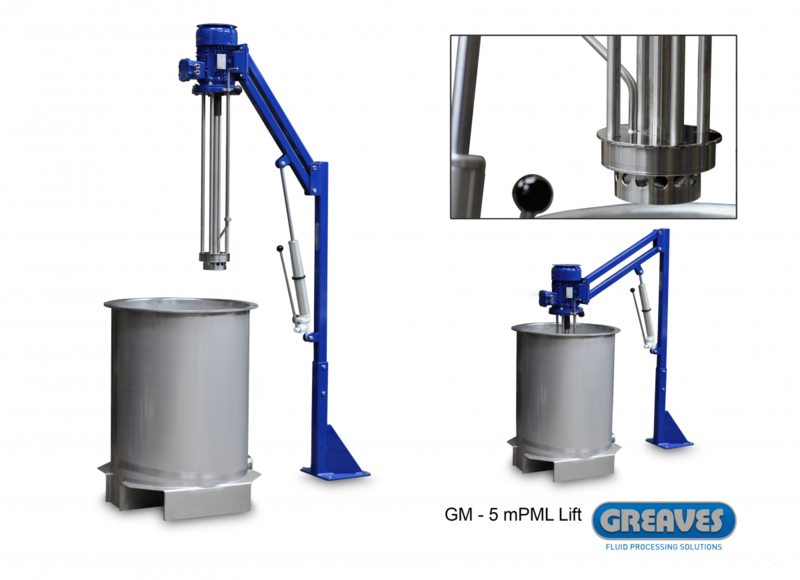 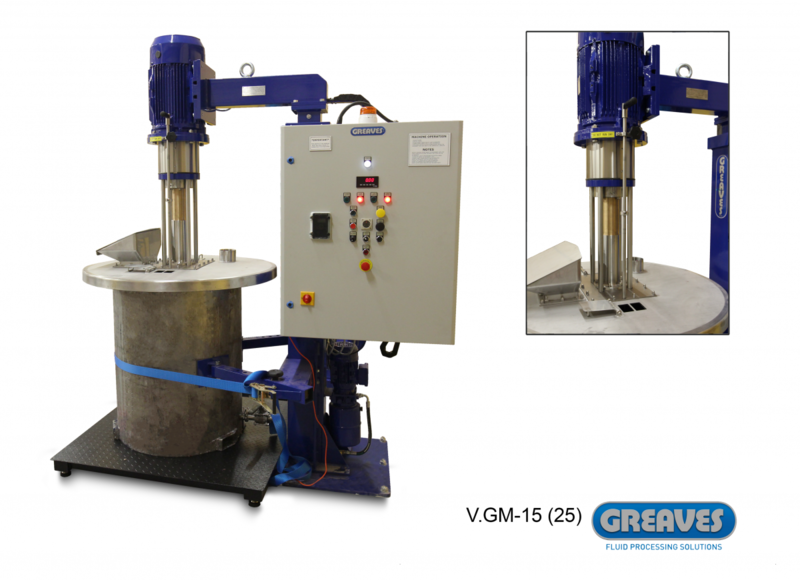 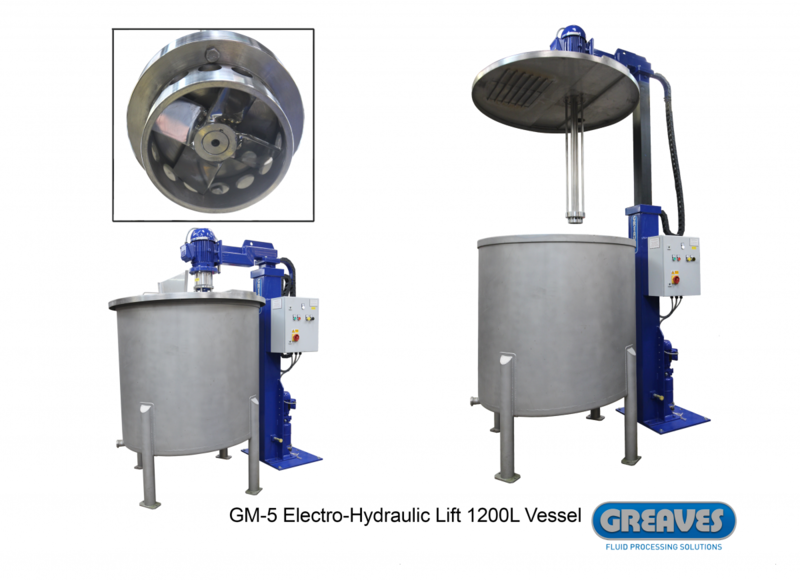 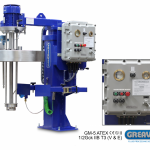 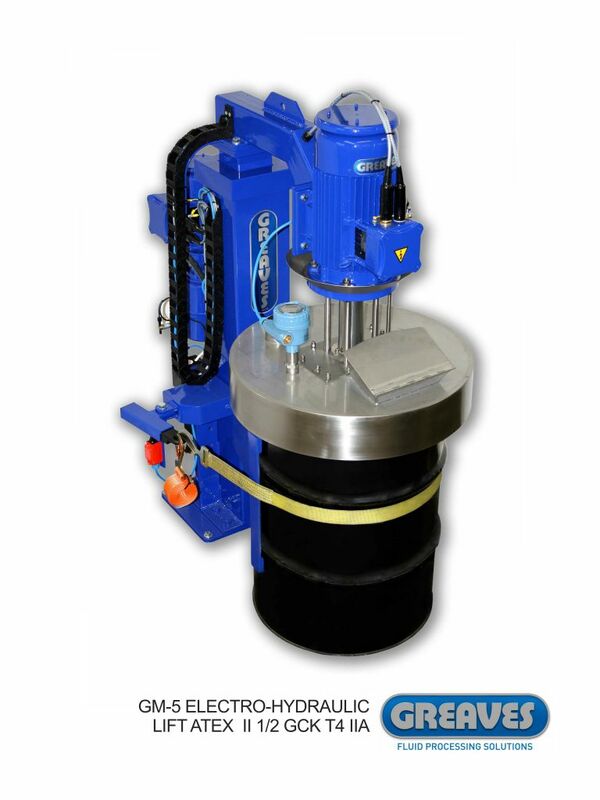 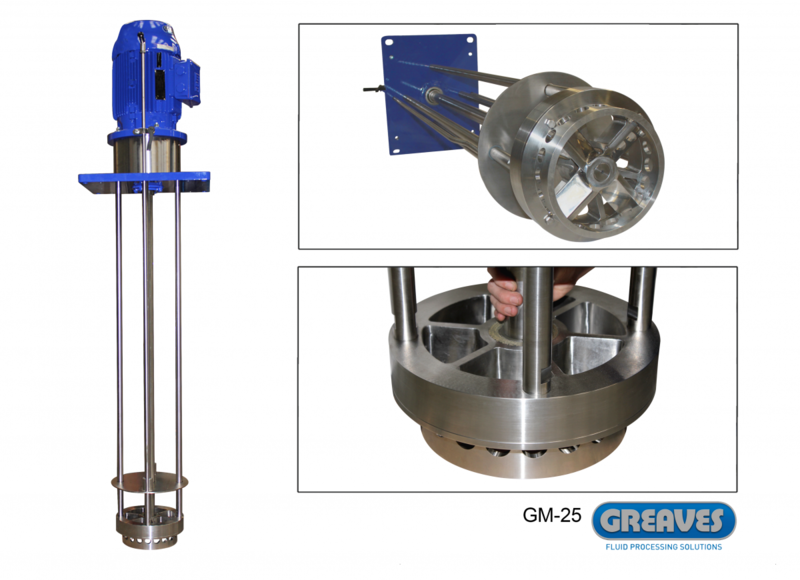 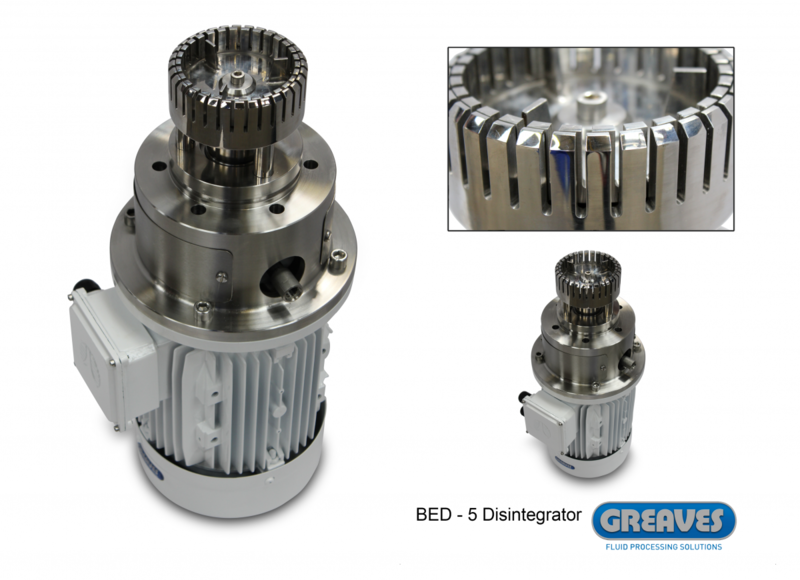 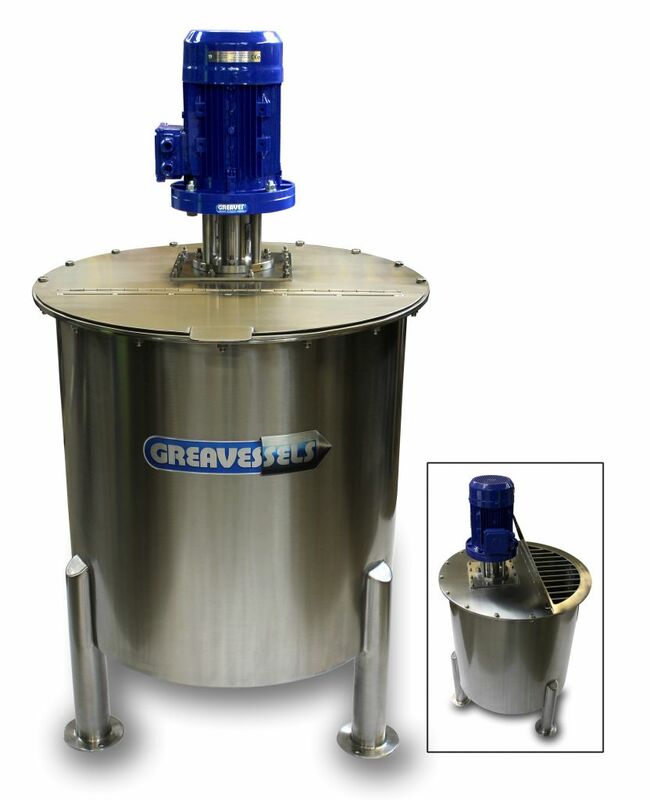 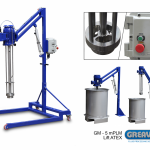 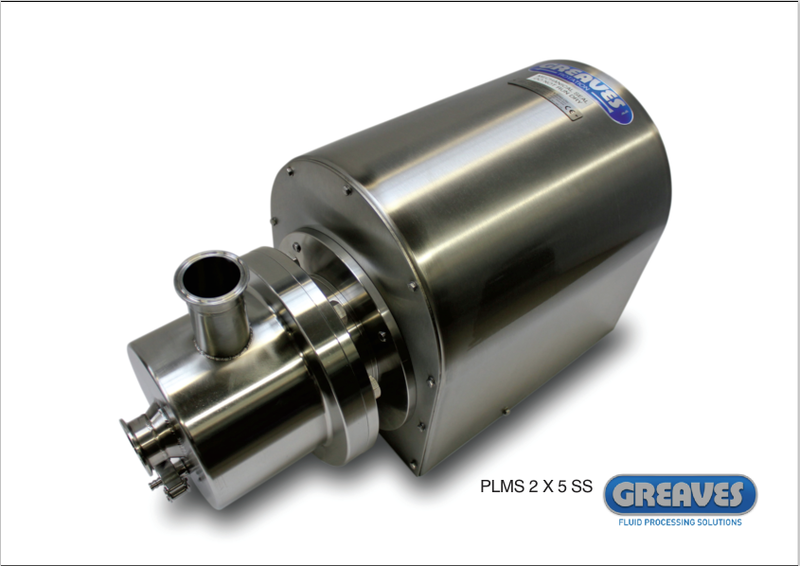 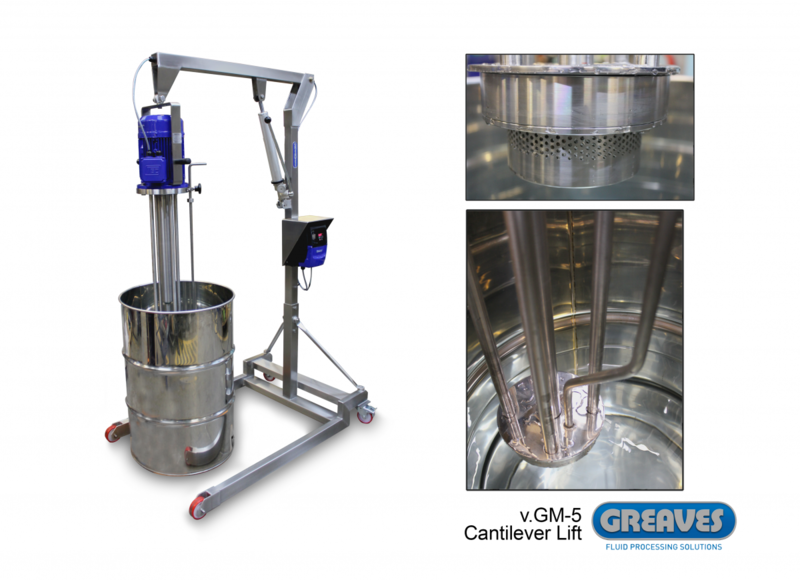 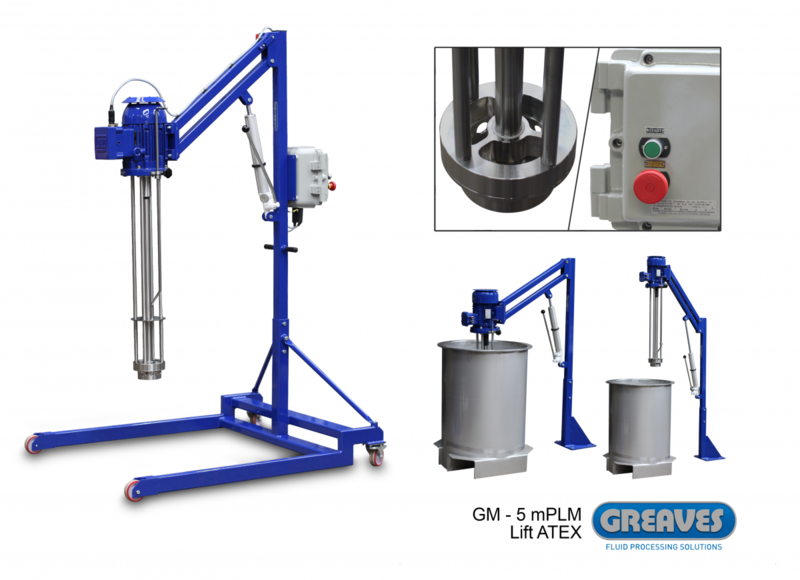 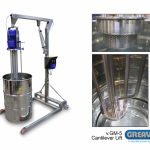 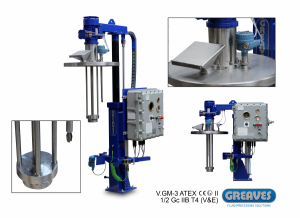 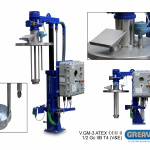 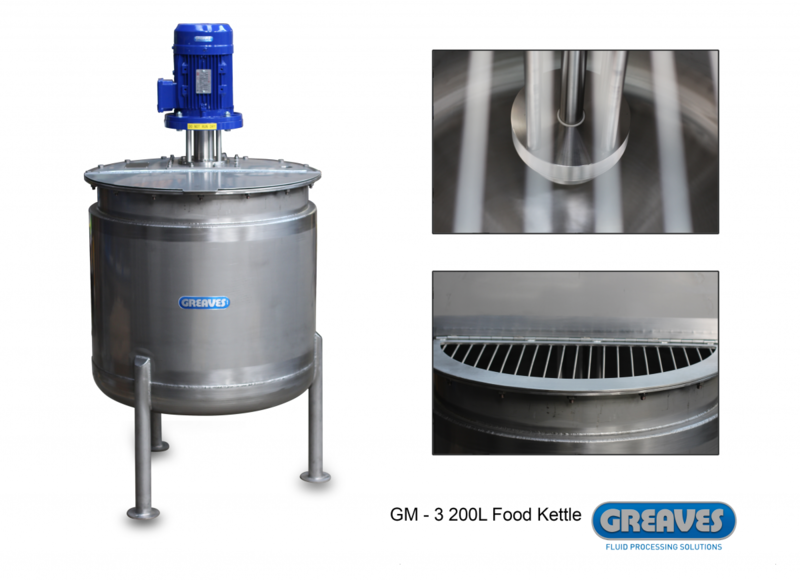 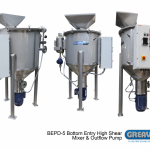 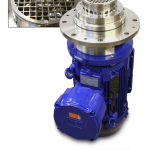 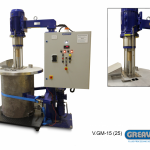 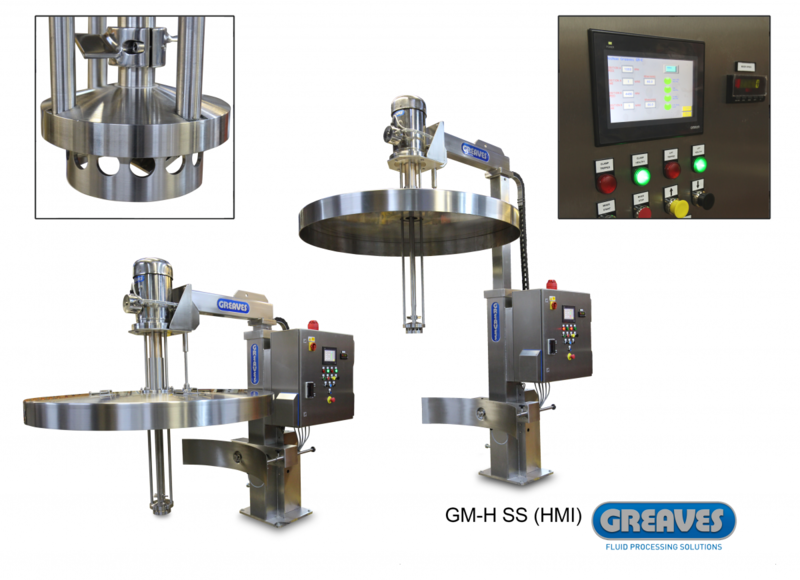 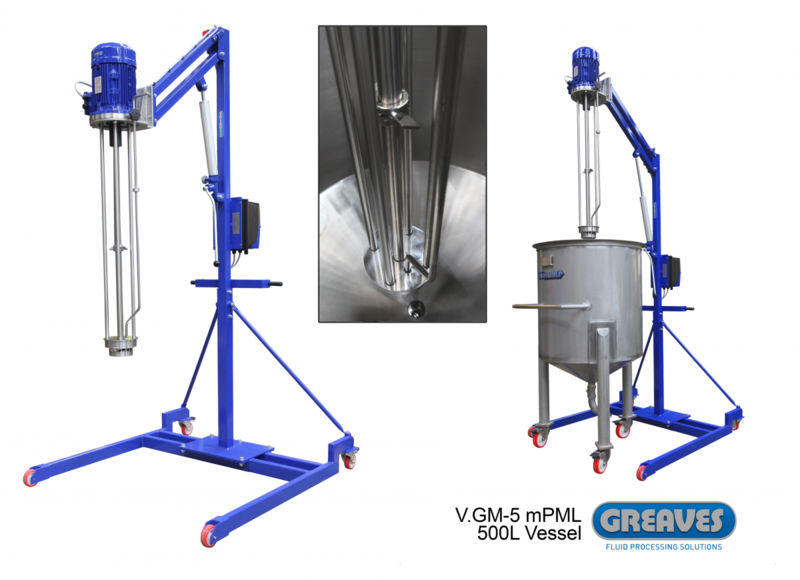 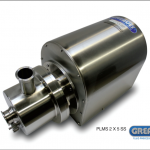 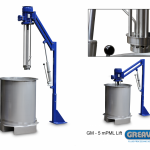 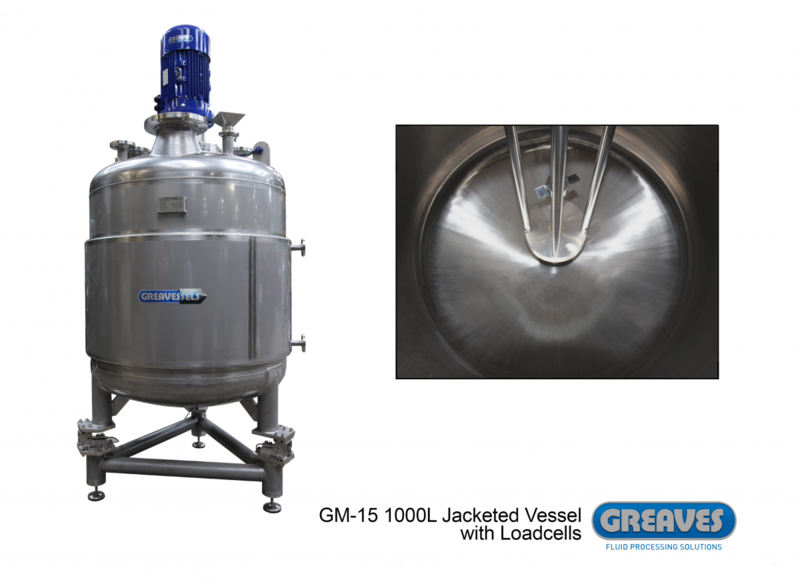 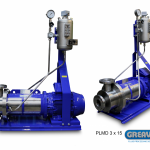 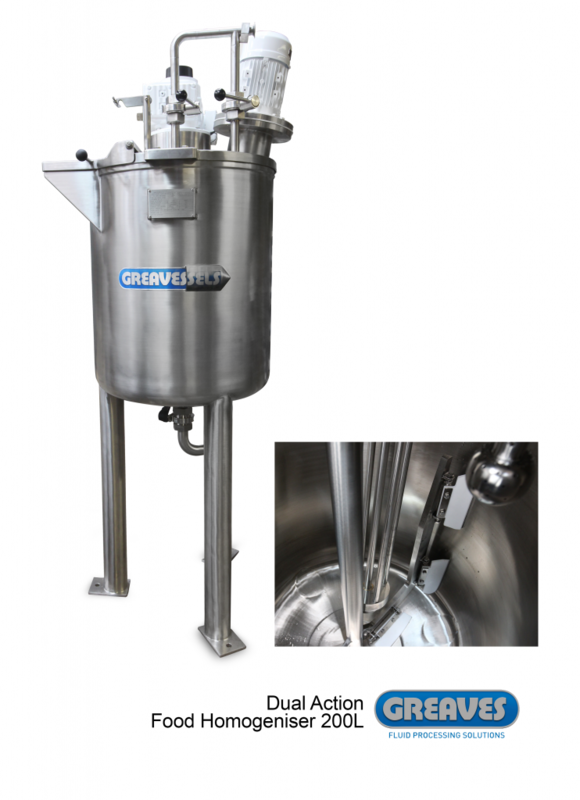 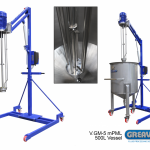 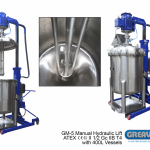 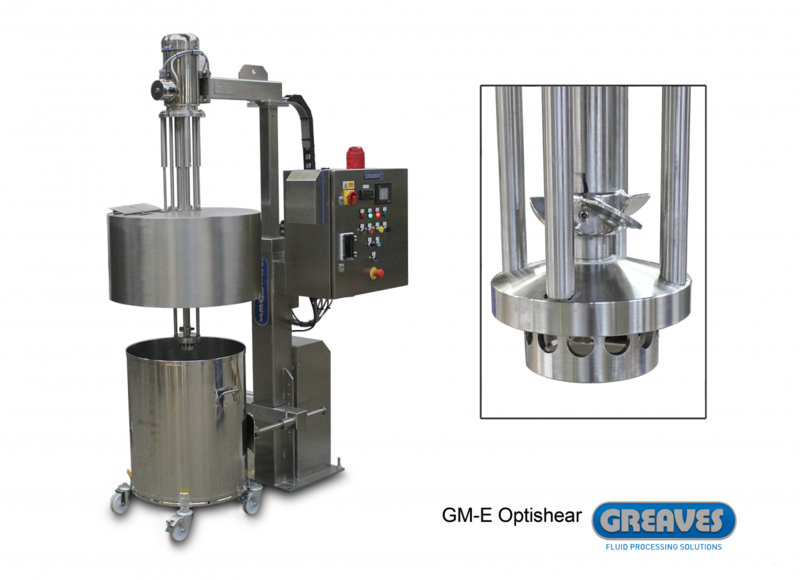 Greaves high shear mixer also has an adjustable deflector plate which can be set to increase or decrease surface circulation to suit the product and process. 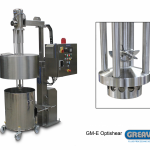 The option to reverse direction of rotation further enhances its flexibility to match processing requirements. 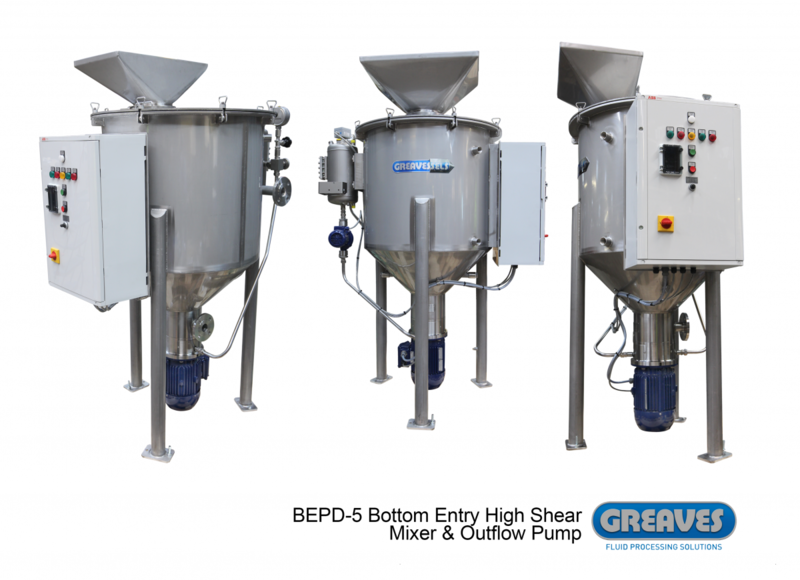 Where aeration is not an issue, the Greaves HSD range provides the ultimate solution in ‘wetting out’ or shearing powders to liquids. 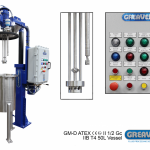 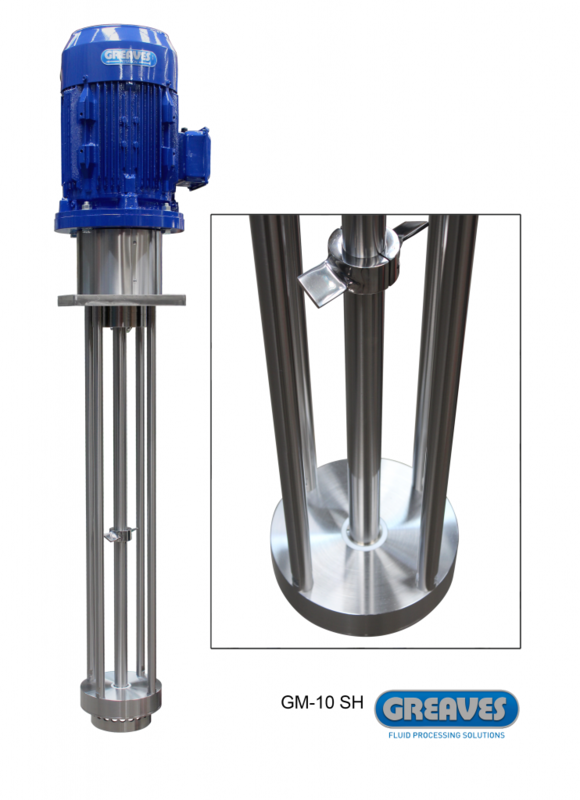 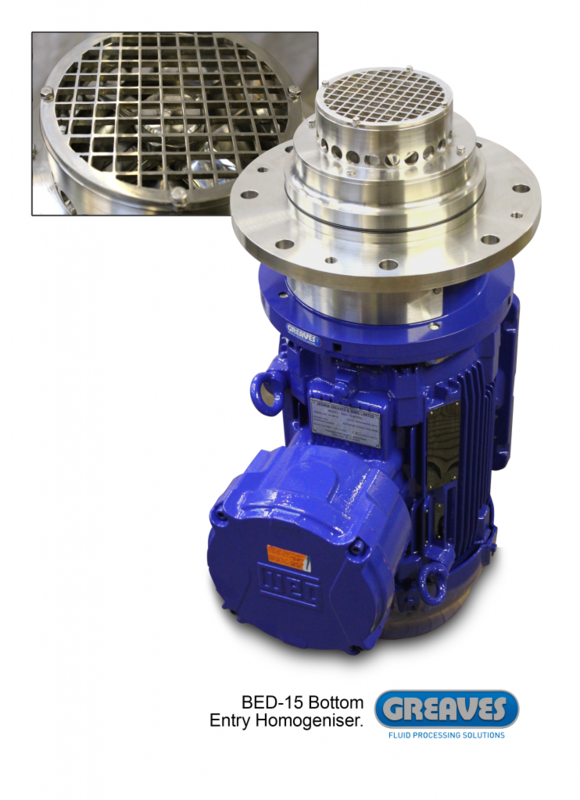 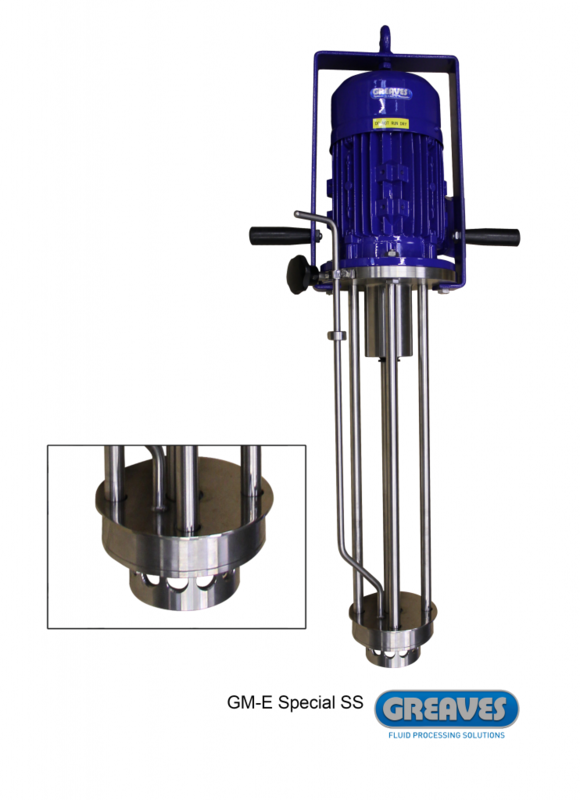 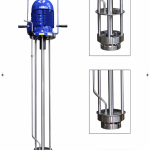 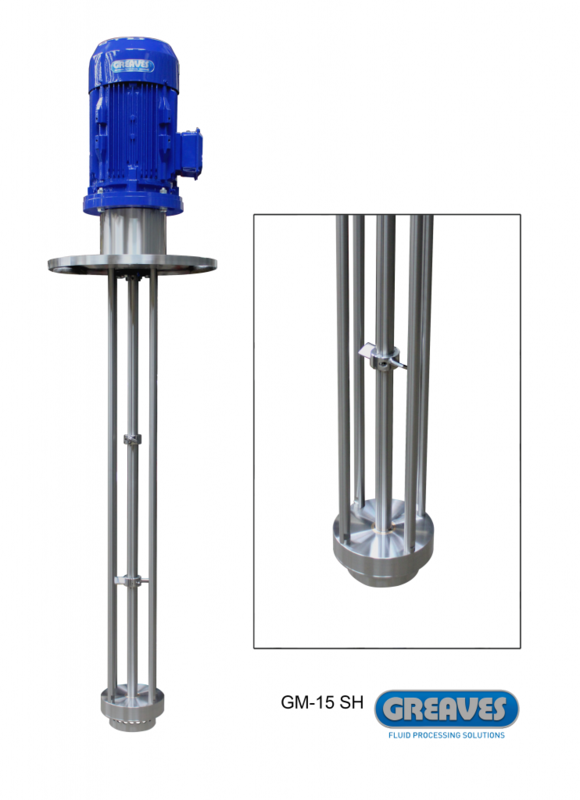 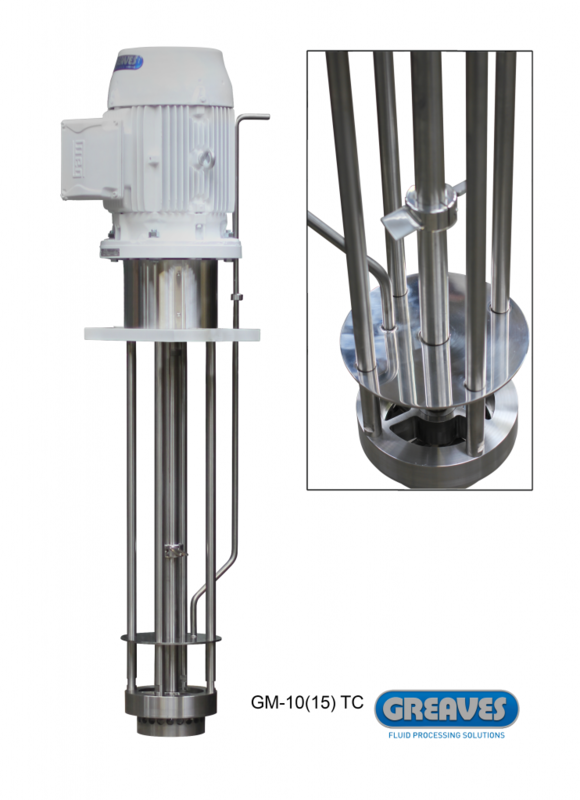 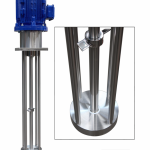 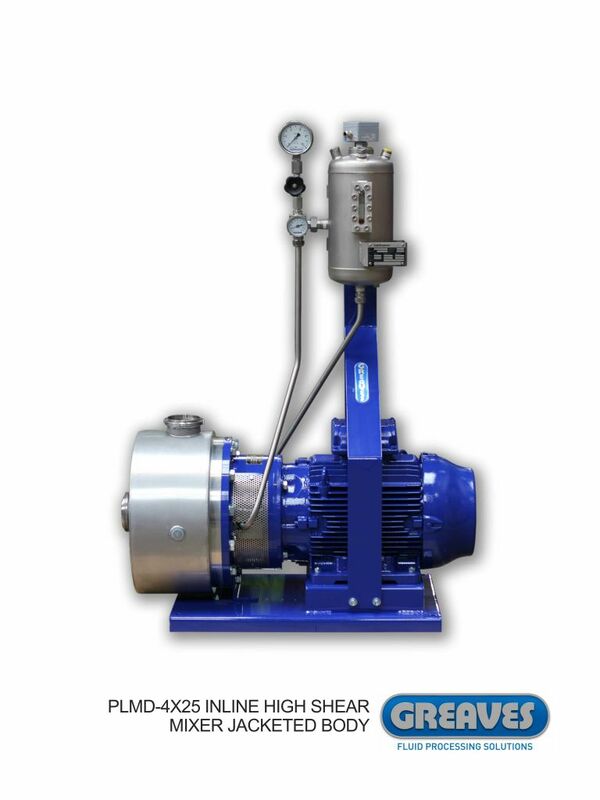 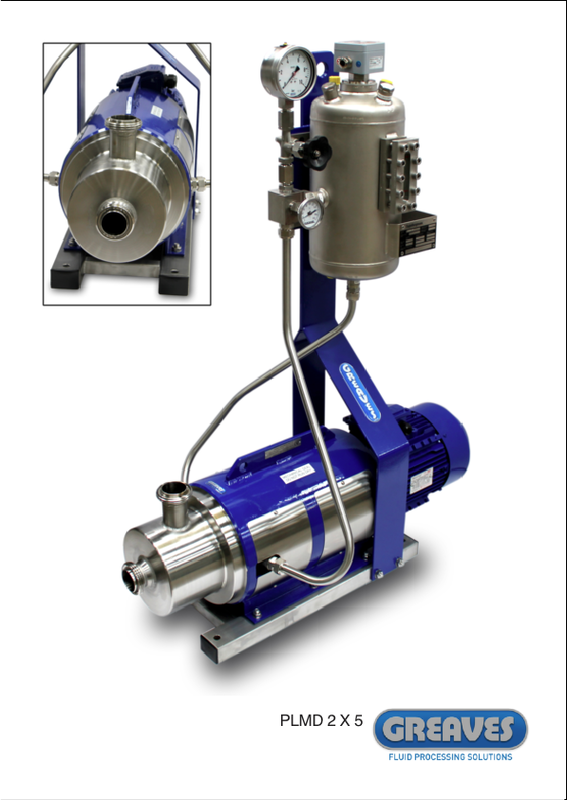 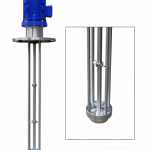 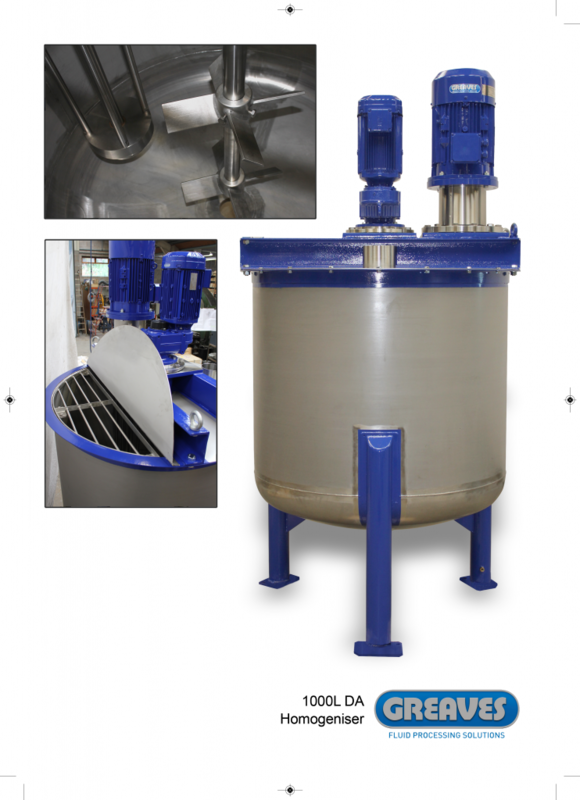 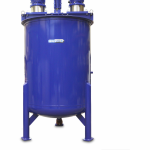 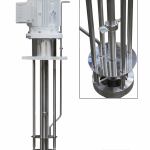 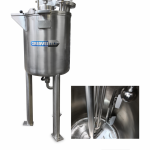 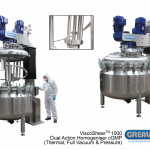 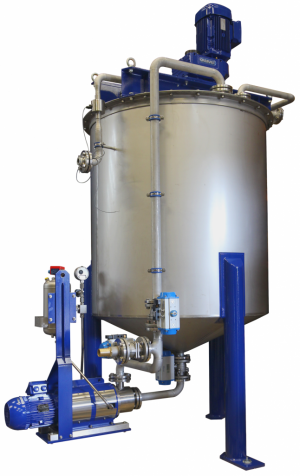 How is product aeration minimised or eliminated using a GM high shear mixer? 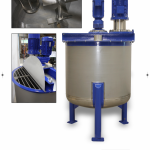 As the materials or ingredients are processed at the base of the mixer (in top and bottom entry units) aeration is rarely an issue. 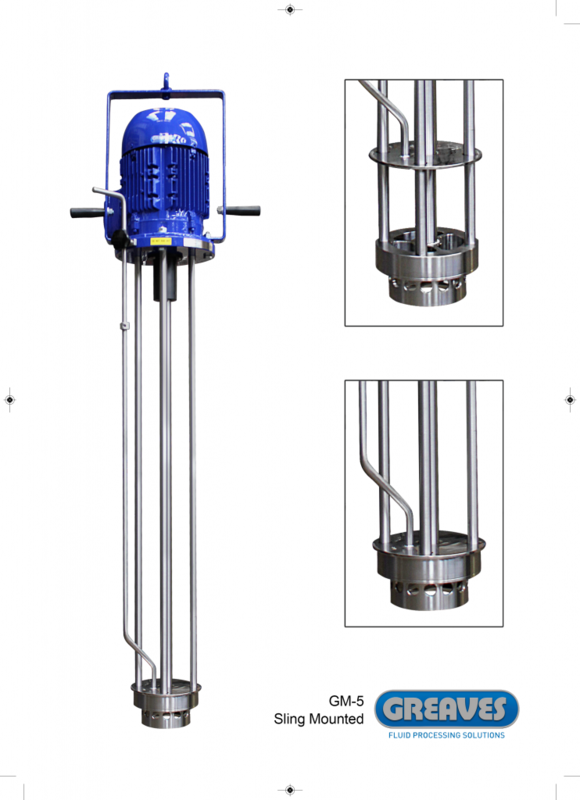 The elimination of a vortex clearly means that air is not drawn into the mixture. 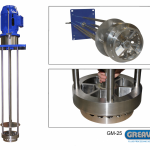 Some GM homogenises have actually been used to de-aerate products due to the low submersed liquid activity they provide. 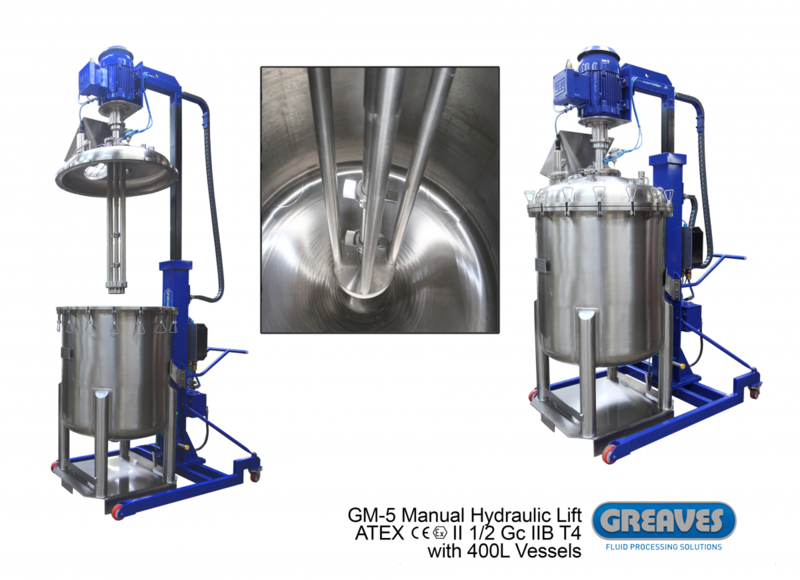 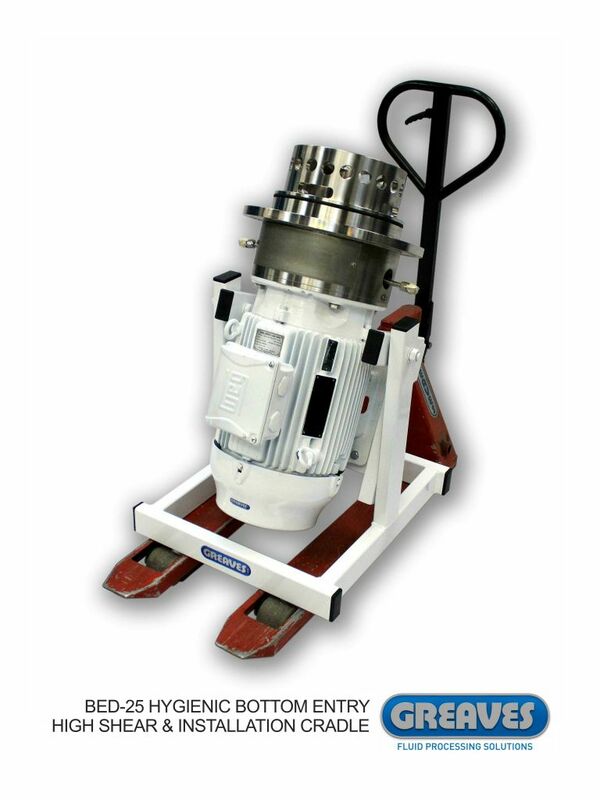 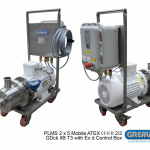 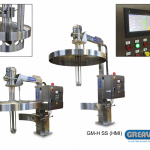 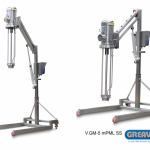 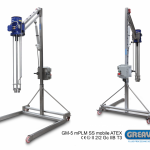 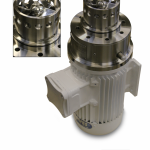 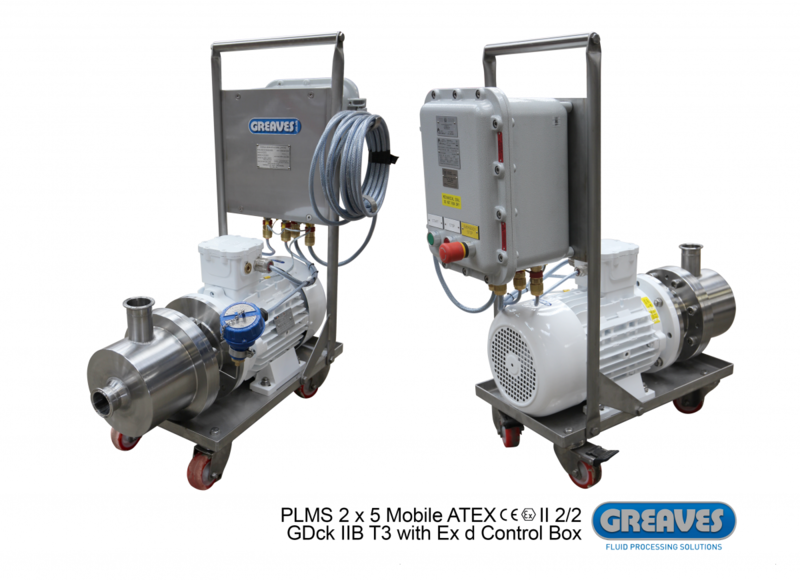 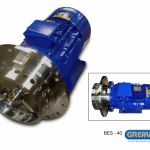 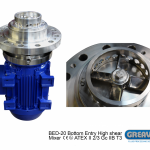 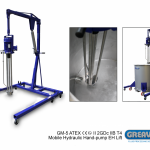 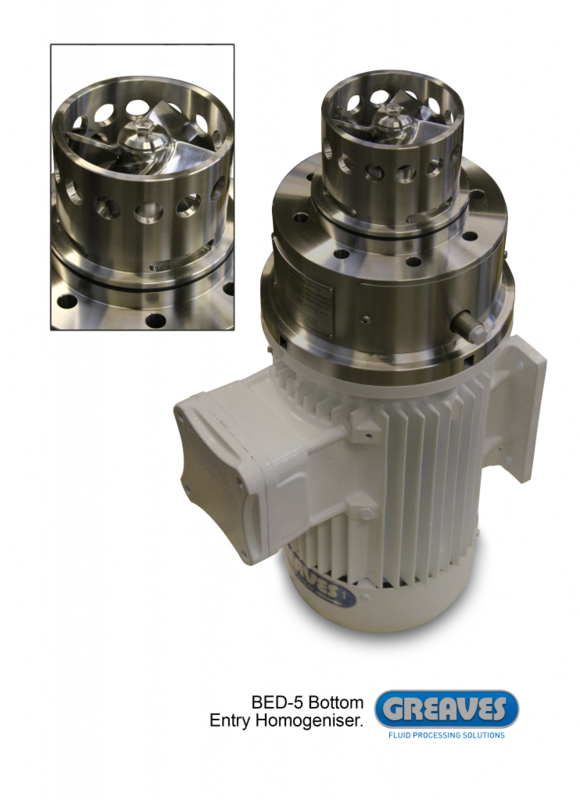 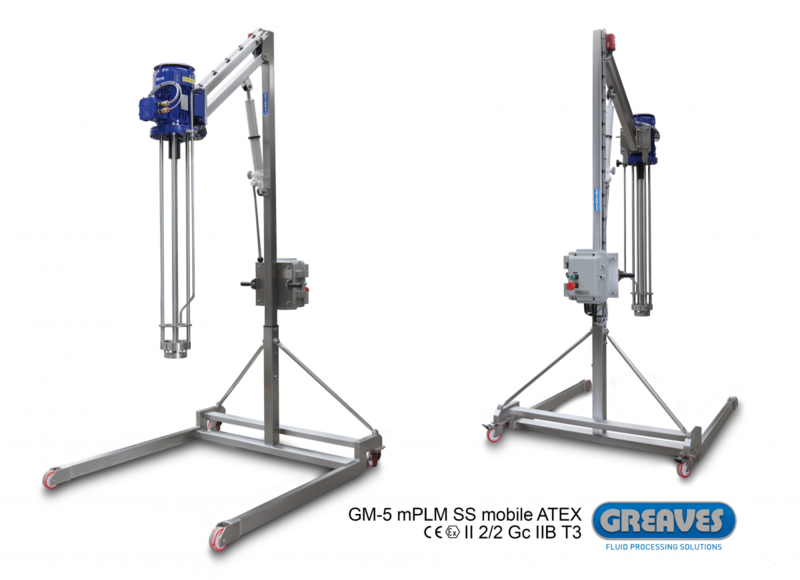 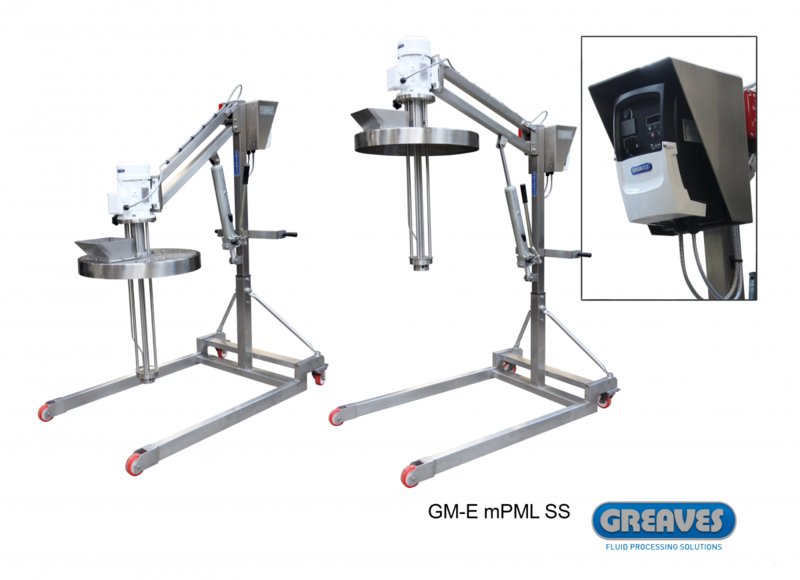 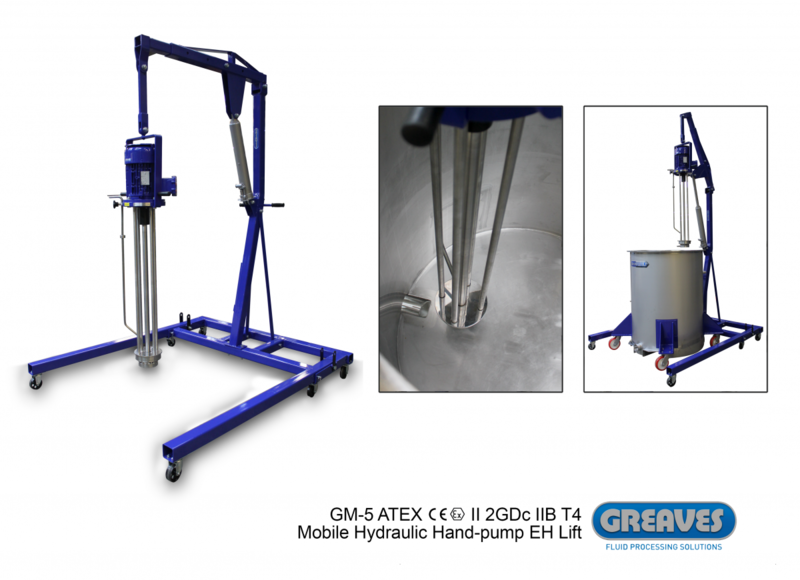 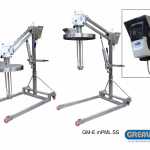 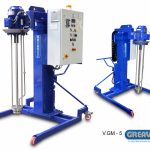 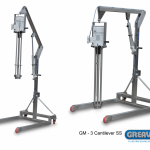 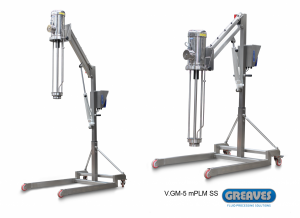 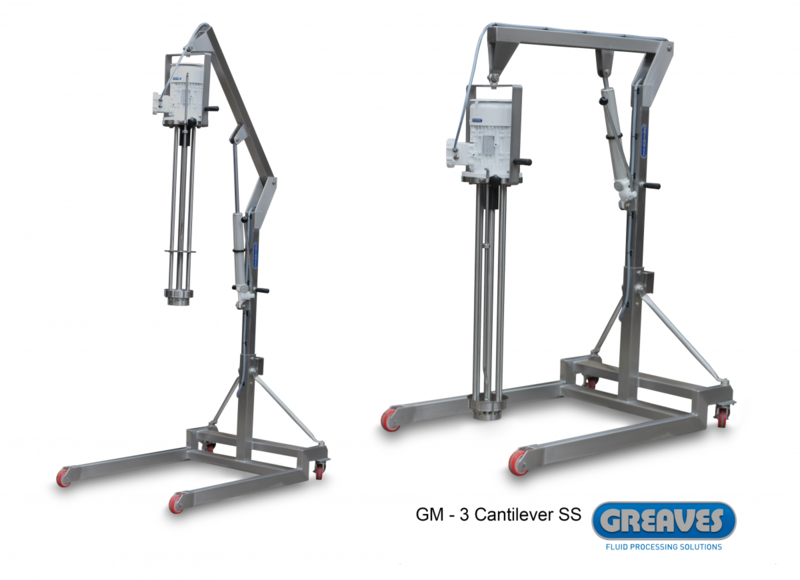 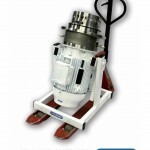 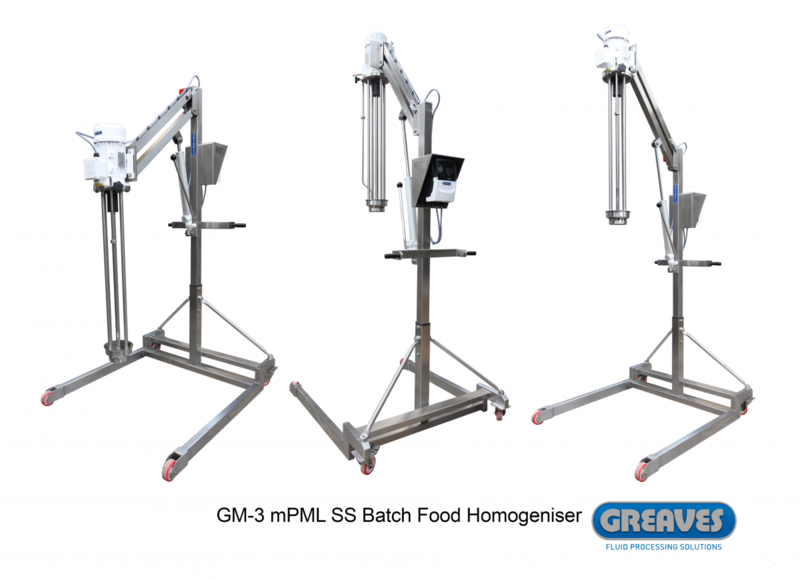 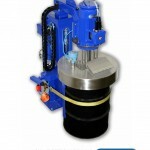 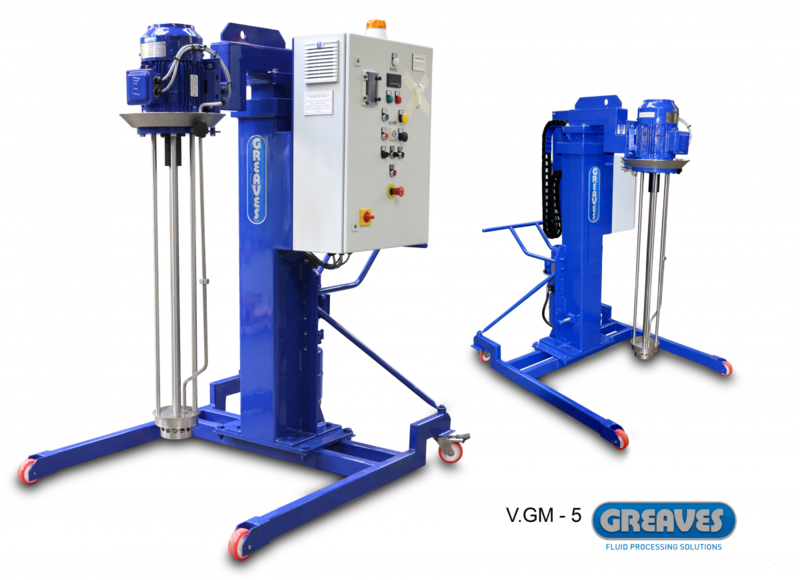 What other advantages does the Greaves high shear mixer range offer? 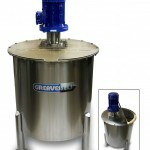 Alternate workheads are available according to application, offering the desired particle size homogenisation required. 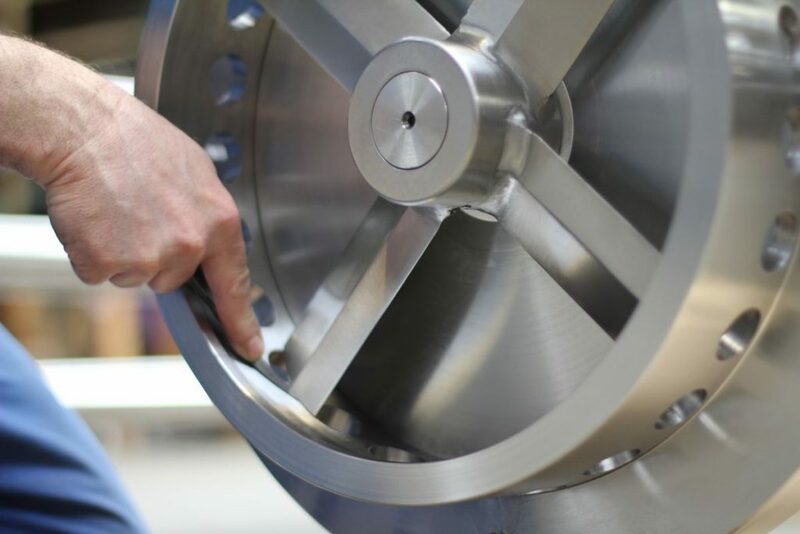 All machines are engineered to the same high standard. 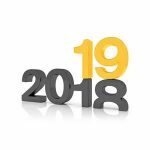 This is important for research and development across any industry. 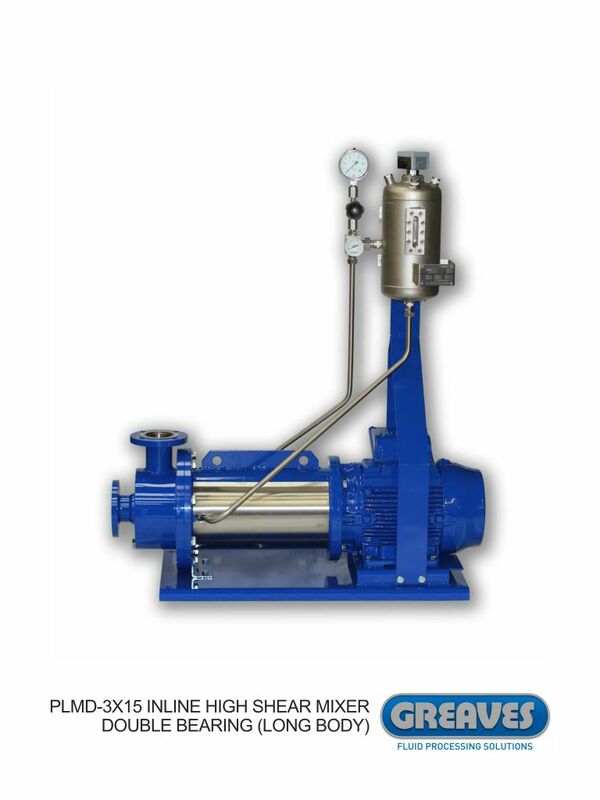 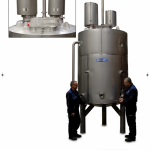 Whether laboratory scale or 100 hp (75kw) full production 50,000 litre homogenises, all tolerances remain the same. 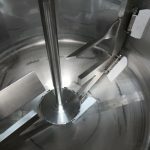 The advantages of laboratory scaling up (or down) then become obvious and accurate. 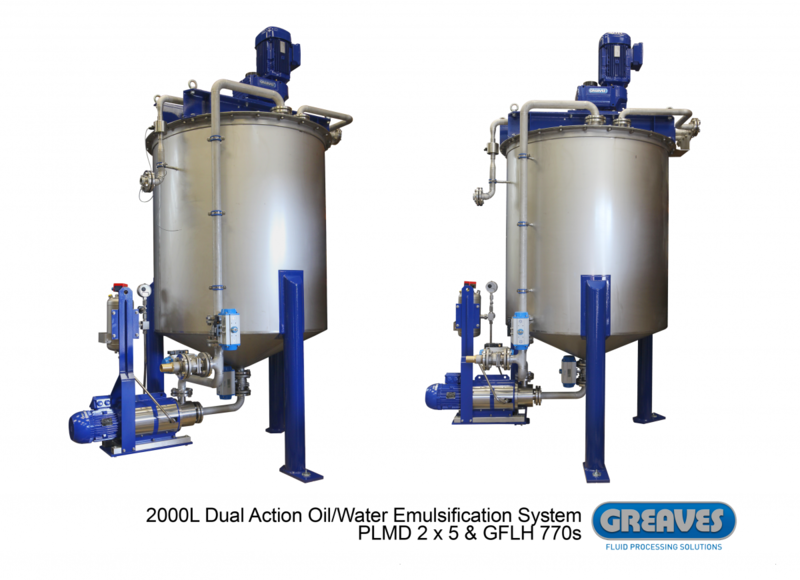 Emulsions for example are therefore consistently smooth and stable at all scales. 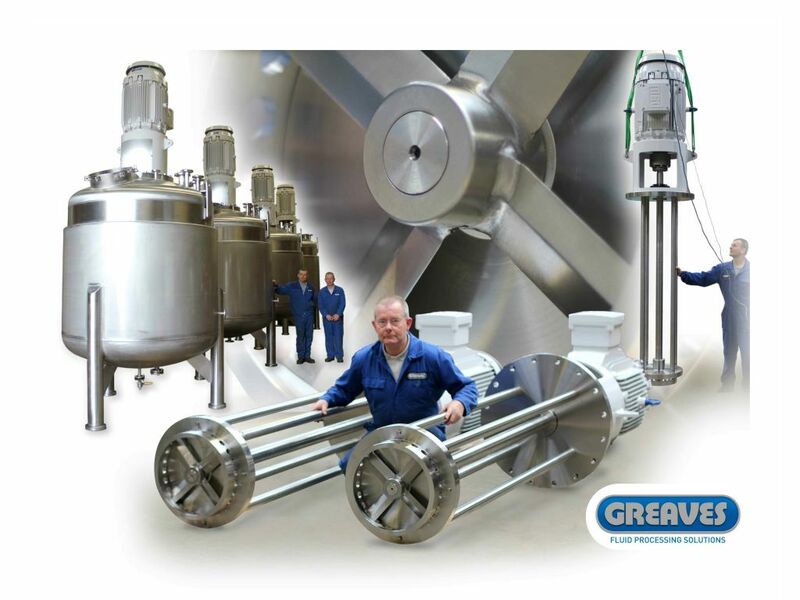 All mixers offer long term reliability and robust service, we often re-condition and improve competitor’s mixers at Greaves. 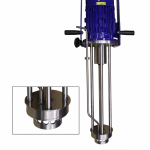 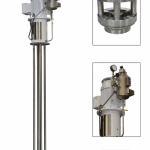 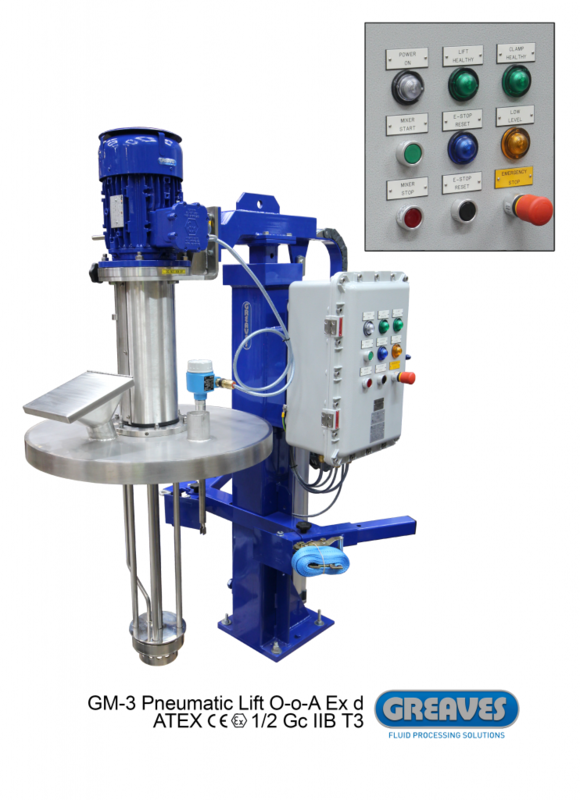 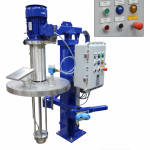 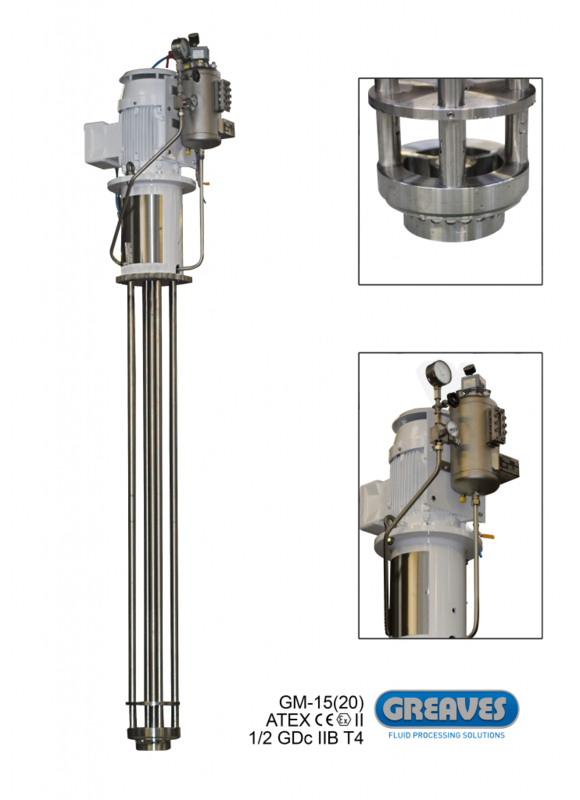 What are the various vessel locations for high shear mixers? 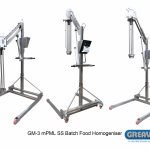 These homogenisers can be specified as top entry, bottom entry or in-line. 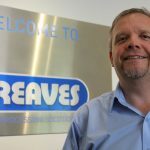 Greaves can advise clients on which location may suit their requirements best. 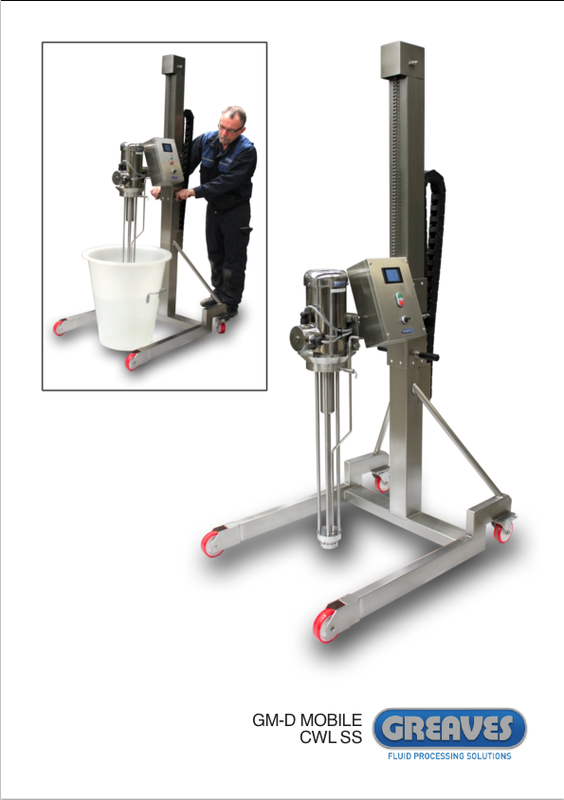 In-line high shear mixers offer all the same benefits in homogenising, but it is also possible to charge powders directly to the workhead. 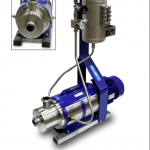 Remote retro fitting to existing systems for process time improvements and product enhancements is very common. 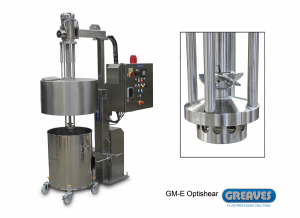 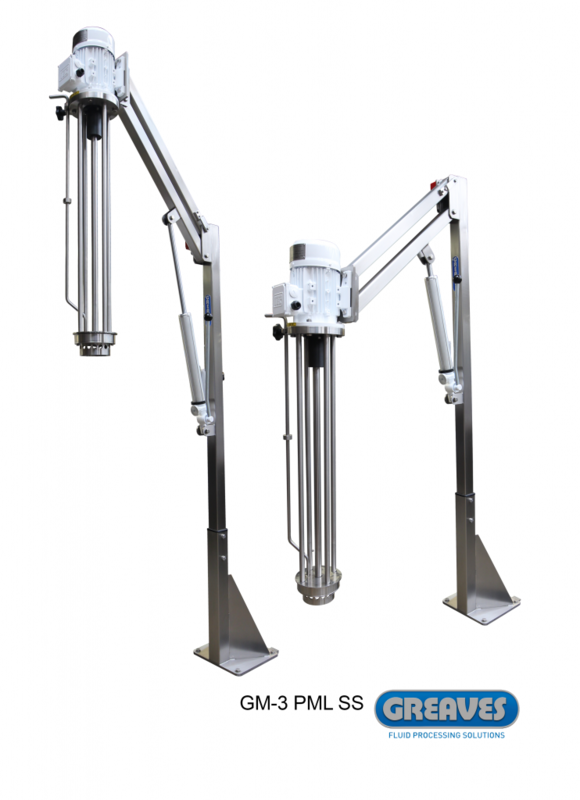 Often high shear mixers are combined with an agitator or stirrers to reduce the scale of high shear homogeniser required and improve flow to the shearing workhead in the GM. 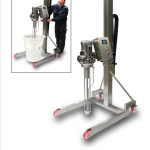 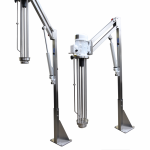 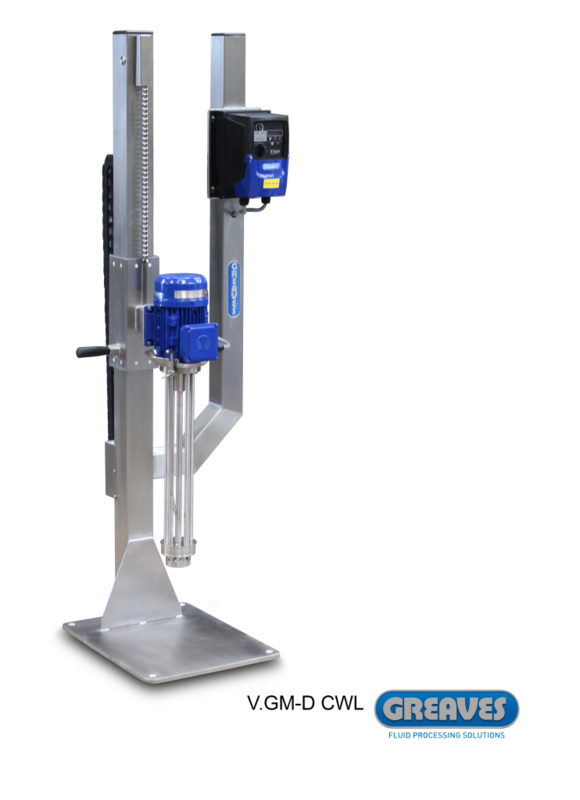 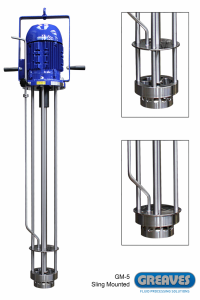 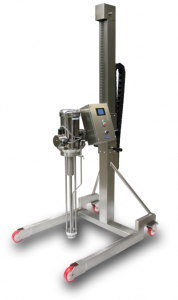 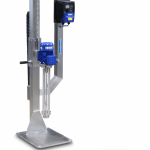 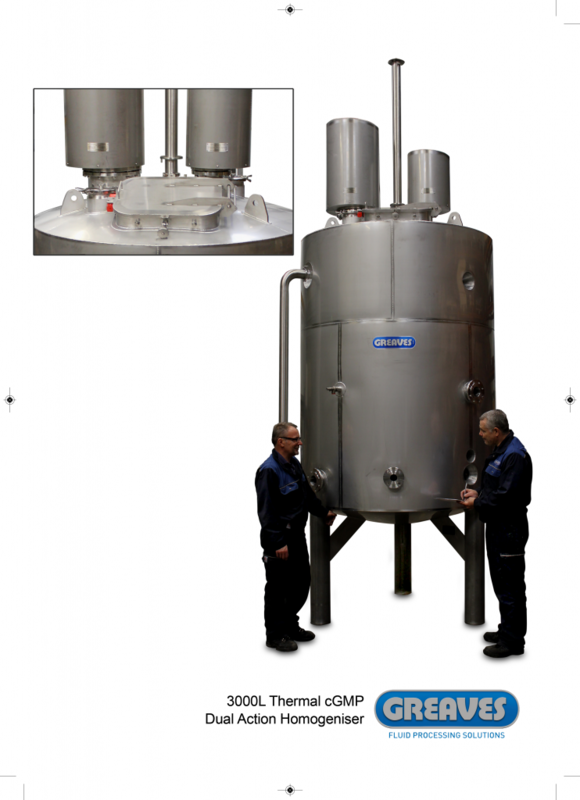 Many clients will continue to operate the stirrer once homogenisation is complete to hold product prior to dispensing.